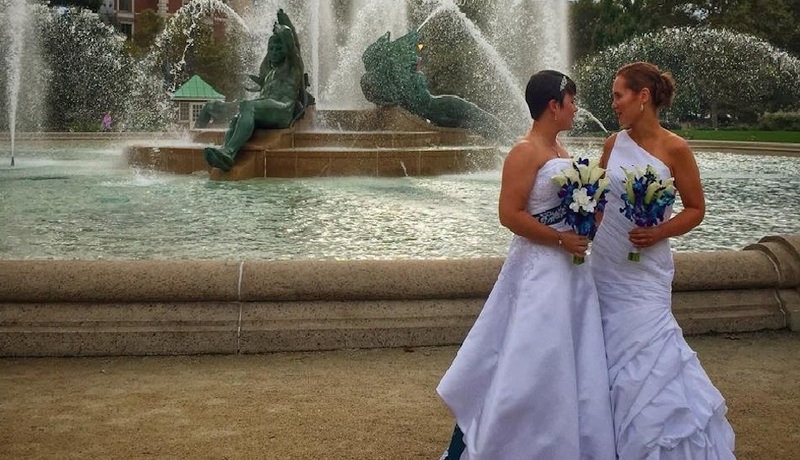 By Bryan Buttler·	 10/14/2014, 11:34 a.m.
Every Tuesday, we are featuring a recently wed Philadelphia-area LGBT couple. 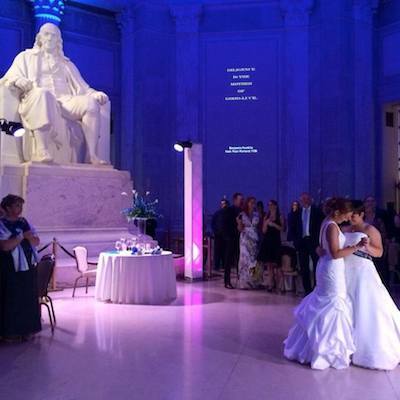 Today: Melissa Cooper and Lauren Schmucker, who took over The Franklin Institute for their special day. 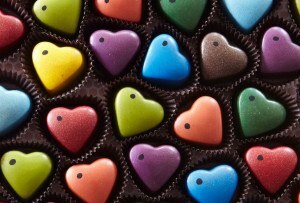 How long have you been together as a couple before you got married? : Our wedding took place on our ninth anniversary. Describe the experience of your wedding. Where did you get married? Who was there? What was the most memorable part? 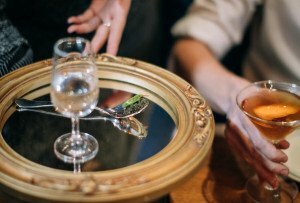 : Our wedding was a dream come true. We were married at The Franklin Institute, which perfectly reflected our individual interests in science and architecture. Our family and friends were there with us to celebrate our day. There were many memorable moments, from our ceremony under the stars in Fels Planetarium, to the cocktail hour in the new Brain Exhibit, followed by dinner and dancing in front of Ben Franklin himself. Our bridal party ended the night with a rousing rendition of “Don’t Stop Believin”” which we will never forget.